Hypnosis works really well for memory retention and concentration, because your subconscious mind already has a perfect memory. Have you ever studied really hard for an exam only to be plagued by nerves when it comes time to take it? There’s nothing worse that working really hard and then not getting the results you deserved. 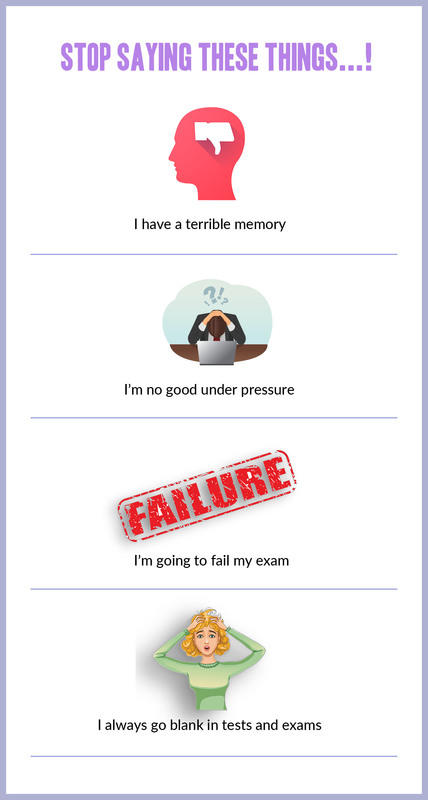 If you have a big exam or test coming up that requires you to memorize lots of information, you might be feeling a little overwhelmed and begin to doubt your ability to recall your study notes when the time comes to sit the exam. The anticipation of failing may play on your mind so much that you actually talk yourself out of achieving the results you have worked so hard for. Fortunately there is a way to overcome your obstacles, and it starts with your subconscious mind. The words and language you use in your everyday conversations have a huge impact on your ability to remember and recall important information. When I use the term ‘conversation’, I am also referring to the internal dialogue that is continually going on in your mind. Many of my clients tell me: ‘I have a shocking memory!’, completely unaware that by saying this over and over again, they are perpetuating an internal belief that will ultimately play out in the worst possible way. Everything you say about yourself creates beliefs and re-affirms existing beliefs in your subconscious mind. Consequently you create the circumstances that prove these beliefs to be true. My job as a hypnotherapist is to teach you how to use your mind to get more of what you want and less of what you don’t want. My client Justin was studying to be an air traffic controller. It is an incredibly competitive field, and only 5 percent of those who take the course end up being accepted into the recruitment program. Understandably, Justin was more than a little anxious about his ability to stay in the top 5 percentile. The data he had to remember was incredibly dry and boring, so it was challenging for him to stay focused at the best of times. There were two things going on with Justin: firstly, the nature of the data he was studying made it difficult for him to stay motivated to read and study the material. Secondly, Justin was struggling to believe in his ability to stay at the top of his game. The closer he came to doing the exam, the more nervous he became and the more he doubted himself. I worked with Justin to build his confidence in his ability to absorb and retain the information easily, while addressing the deeply conditioned beliefs his subconscious was carrying around his supposedly ‘poor’ memory. A few weeks after his last session, Justin sent me a text message to say he had aced the exam and that he had been accepted into the recruitment program. Justin harnessed the power of his mind (with my help) to achieve a stellar result. If you have an important exam coming up, hypnosis for memory retention may give you the edge you need to rise above your competitors and stay at the top of your game. Call me to find out how I can help you.